FMI has developed a proprietary chemical coating, based on organically-modified sol-gel technology (ORMOSIL) that is used as an oxygen optical transducer in combination with optical fiber waveguides. The new oxygen sensor from FMI is designed to monitor oxygen gas as well as dissolved oxygen (DO) in organic hydrocarbons, fuels, pure solvents such as acetone, BTX, etc… The HCR series oxygen sensor comes in a range of probe and patches. 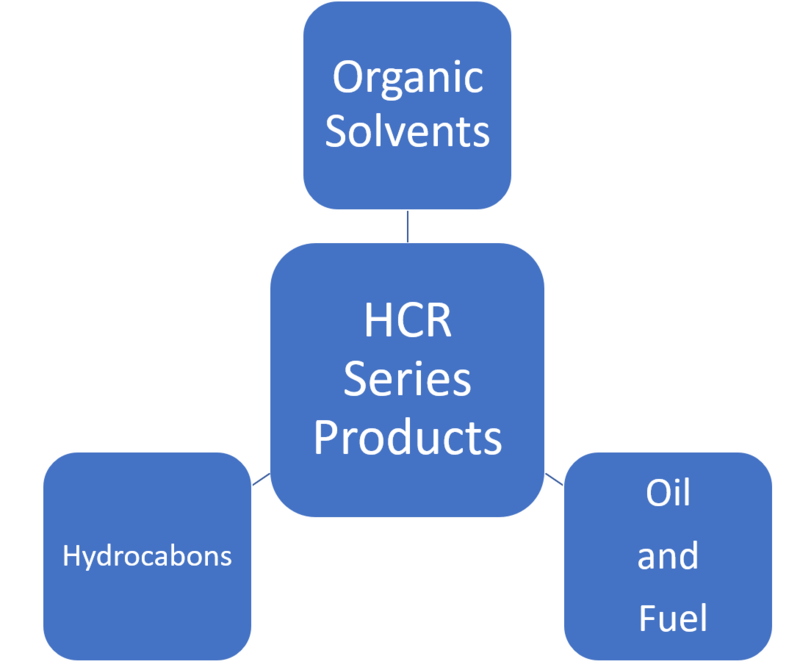 Why Monitoring dissolved oxygen in Fuels? • Chemicals, and in particular, hydrocarbon mixtures, that are stored for extended periods of time can become contaminated, or in the presence of contaminants accumulate deposits that are detrimental to the equipment through which the chemicals flow. In particular, fuels can often sit in storage containment units, such as storage tanks or shipping vessels. The fuels are usually hydrocarbon mixtures, and contaminants in the fuels can bring about some polymerization or the creation of gums. These molecules can impair the performance of engines which run on the fuel. The gums or other materials can create deposits, that impair flow, or heat transfer characteristics in an engine, which in turn can impair engine performance. • An important contaminant is oxygen. Oxygen contaminants lead to undesirable chemical products by a variety of reaction processes. These reactions include autocatalytic mechanisms that include free radical chain reactions. Olefins in the presence of oxygenate contaminants can lead to polymerization of the olefin monomers and can lead to deposits of large polymeric molecules. Fouling causes increased maintenance of equipment and reduce operation times, and a loss of production. • Monitoring and removal of oxygen and residual oxygen contaminants from hydrocarbon feedstocks can reduce the down times and protect equipment from excessive fouling due to deposits created from reactions by the presence of oxygen in the hydrocarbon feedstocks. Designed for monitoring oxygen gas and dissolved oxygen in biological environments. 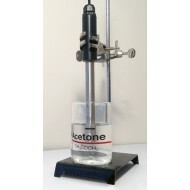 Designed for monitoring oxygen in environments with aggressive chemicals such as pure acetone, toluene, benzene, alcohols, gasoline, diesel, jet fuels, etc..
--- Please Select --- 5/32"	1/4 "	12/32"
Our oxygen sensor stainless steel probes with an embedded thermistor are designed for monitoring of..
Hydrocarbon resistant glass oxygen sensor patch for non-invasive monitoring of dissolved oxygen in H.. Replacement oxygen sensor cap (HCR series) for DOPO2. This cap has a hydrocarbon resistant glass/cer..
--- Please Select --- 1/32"	1/8"	5/32"	1/4 "	12/32"
Our Oxygen sensor stainless steel fiber optic dip probes are designed for monitoring of oxygen ..